Those who live in Los Angeles can get street food in many places. Grabbing a simple hot dog or taco is a habit of many while wandering the streets of LA. 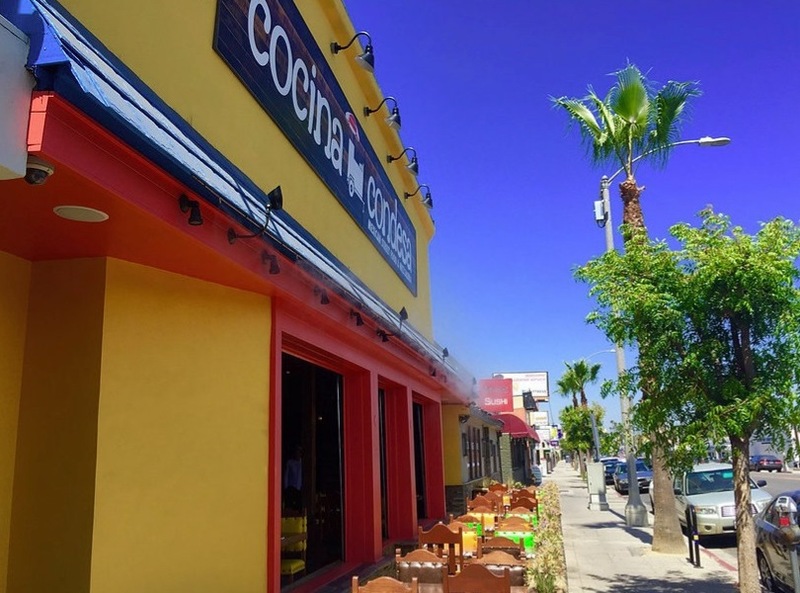 However, if you are looking for an experience with delicious Mexican street food, Cocina Condesa is the spot. 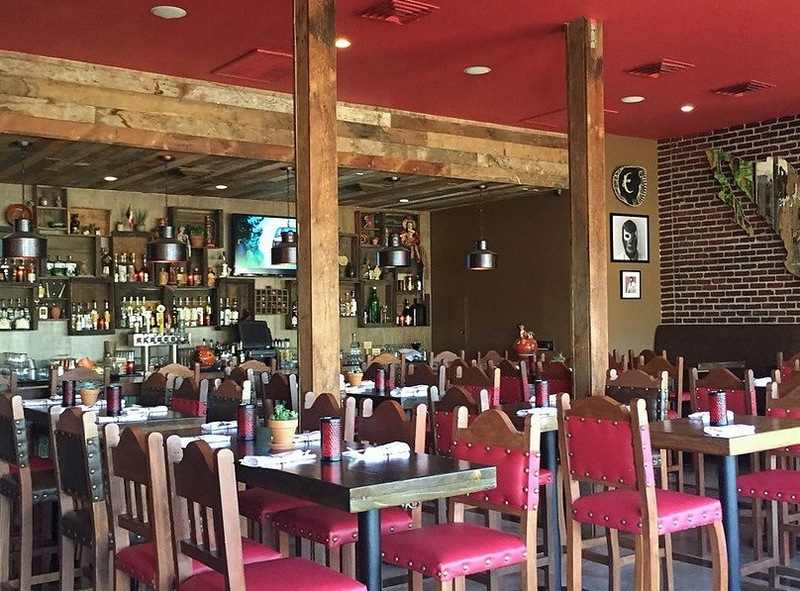 Located on Studio City’s Ventura Boulevard, also known as restaurant row, Chef Eddie Garcia is serving up some serious eats. Cocina Condesa offers happy hour, brunch, taco Tuesdays, and a killer dinner menu. There is patio dining, allowing guests to observe the bright exterior colors, while those who choose inside dining view colorful lights and interesting décor around a lively bar. Chef Garcia features a menu with all the notorious Mexican dishes favorited by many, such as, tacos, guacamoles, enchiladas, burritos, and ceviches. There is a modern Mexican spin on some dishes such as the Mexican Kale Salad, the Cauliflower Tacos, or the Ahi Tuna Tostaditos that are packed with flavor, but healthy enough to indulge. 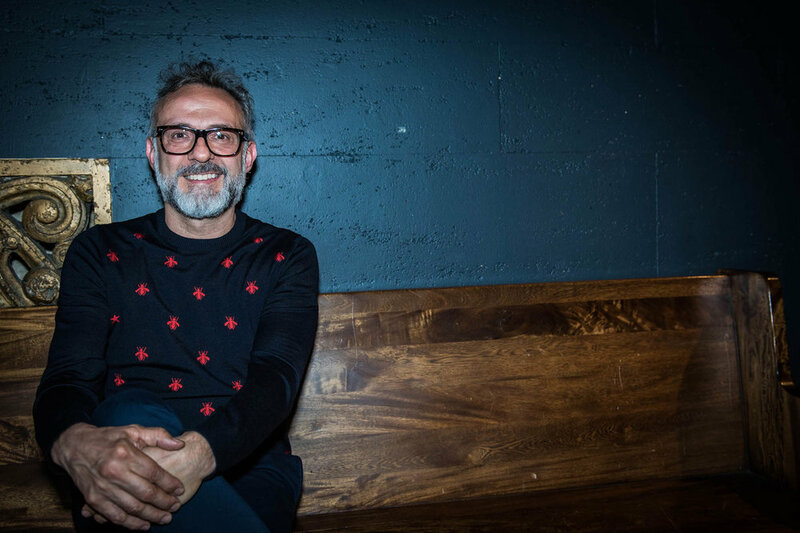 Garcia partnered with Agave Spirit Expert, Gilbert Marquez and Joe Valdovinos, Cocina Codesa’s executive beverage director of their Mezcaleria. Together they place particular emphasis on crafting Latin inspired cocktails that contain fresh, seasonally conscious ingredients with bold flavors. Cocina Condesa’s cocktail concoctions are made with some of the best tequila and mezcal offered in Los Angeles. Guests should come to Cocina Condesa for the bar menu itself, it is so delicious. Cocina Condesa offers an experience better than most Mexican establishments in Los Angeles because of the food and drinks alone! Eating out can be expensive, and time consuming. The trip to Cocina Condesa is well worth it. 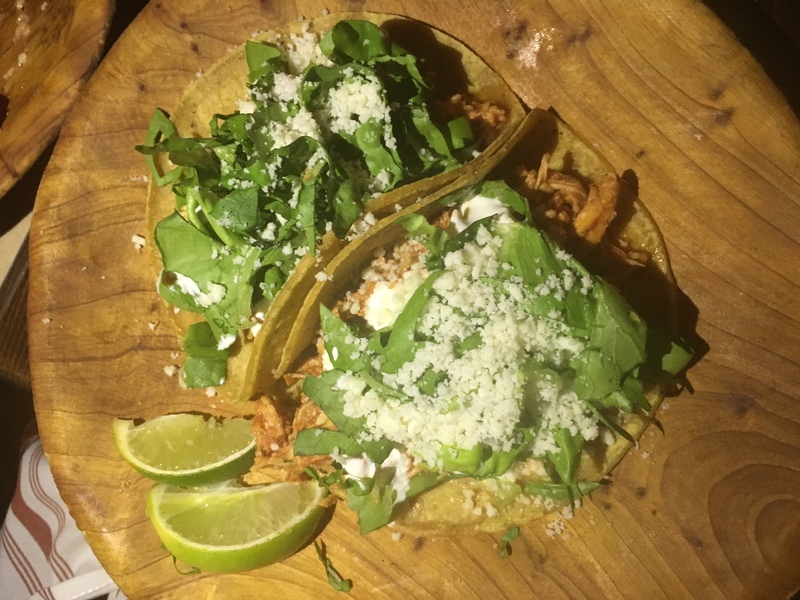 Here are some of our favorite items from the dinner menu, sure the food resembles street finds, and Mexican favorites, but the perfection in taste of these items allow the recommendation for a must visit for those who reside in Los Angeles and visiting. Guacamole Fuego- made with hass avocados, cilantro, red onion, lime, sea salt, habanera chili, and golden raisins. This item on the menu was not only delicious, but those who order can taste an item that is easy to make at home, but addicting in flavor to return back to Cocina Condesa and reorder every time with a cocktail. Those who are stopping by for a quick drink should order this appetizer. Mexican Kale Salad- made with wild kale, arugula, queso fresco, candied pepitas, shaved carrots, dried strawberries, chipotle pesto, croutons, strawberry, and lime vinaigrette. Angelenos are conscious about what they eat. This dish is fresh, tasty, and will not have you leaving Cocina Condesa full or in a Mexican food coma. Those who just finished a workout session and meeting a friend for fun can spoil themselves with this dish. Carnitas- pork shoulder, cilantro, salsa, red onion, and lime. There are no words that describe how absolutely delicious these tacos are. 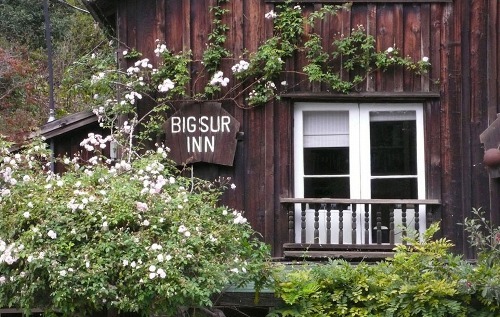 You just need to visit to understand. The meat is juicy, and the smoky flavor to the pork is outstanding. Those visiting for Taco Tuesday- here is what you order! Chorizo & Papas- made with peewee potatoes, radishes, and charred jalapenos. This is such a simple taco for two, but the heat with this taco will leave any saying “what is this?” It is a taco that is perfect as a starter, and worth the try. Panuchos de Tinga- made with Mary’s chicken, cotija cheese, salsa chipotle, shredded lettuce, and cream fresca. 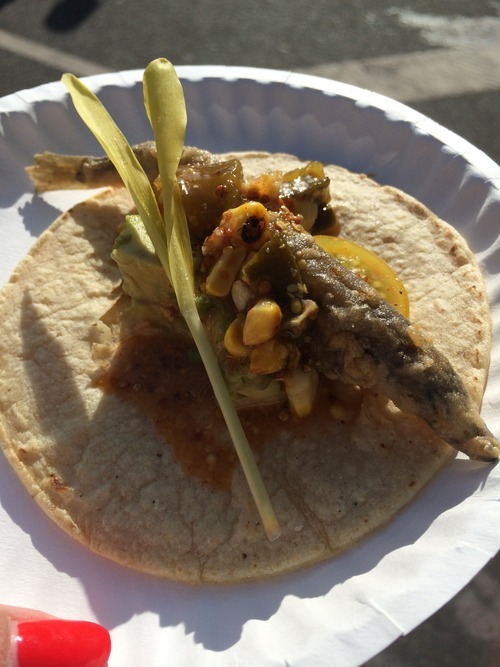 These tacos are pretty much a reason why someone should dine at Cocina Condesa. The chicken is to die for! Period. Those who are local and lunching, these are a must order. Carne Con Queso- made with manchego, shredded brisket, peewee potatoes, pico de gallo, and pickled fresno chiles. 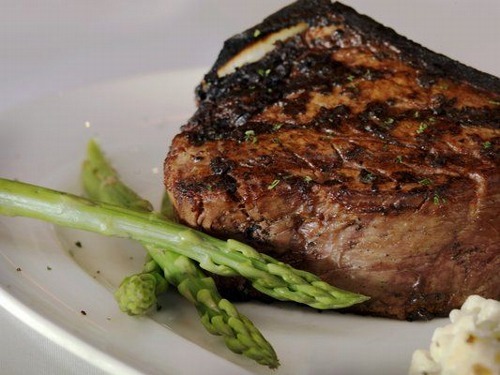 This dish is delicious, packed with flavor, and no one else in LA is serving this. Those who come to Cocina Condesa and want to try a dish that offers comfort, this is what you order. This dish is perfect for a girl’s night out, shared, with cocktails by your side. 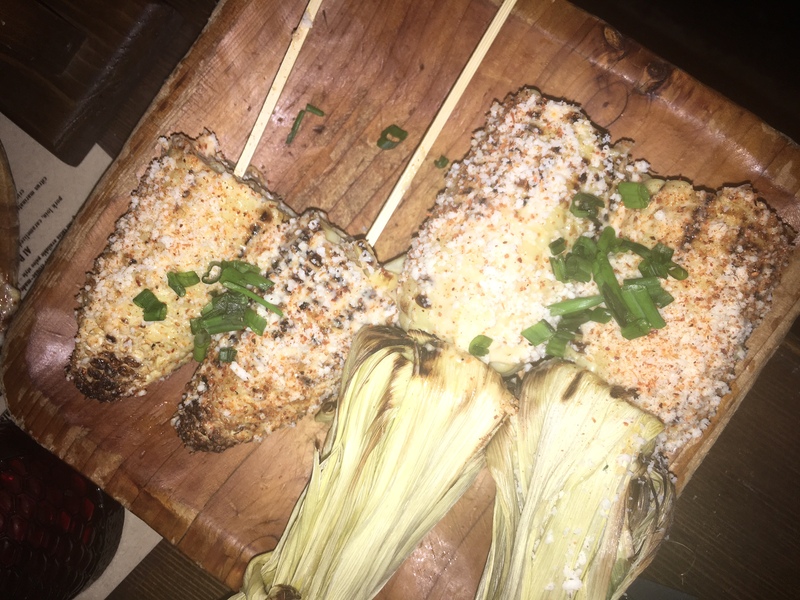 Street Corn- served on the cobb with tapatio aioli, cotija cheese, chili, and lime. This appetizer dish is a stable for Cocina Condesa; all who dine should order this. It exudes what the restaurant is. There is no street cart that is serving this good of street corn. 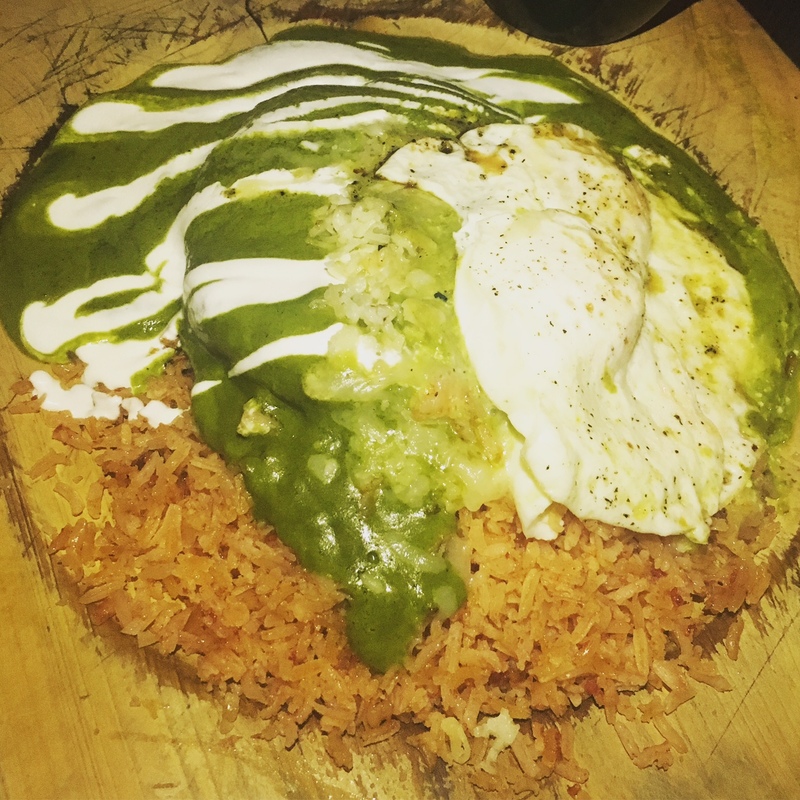 Chile Rellano- made with a roasted Pasilla chile, melted Oaxaca, salsa verde, and topped with two fried eggs. This item is unbelievable. Served over Mexican rice, the Chile Rellano is the favorite item on the menu for us. Chocolate Mole Chicken Enchiladas- made with three enchiladas, chile cocoa mole, refried white beans, and Mexican rice. 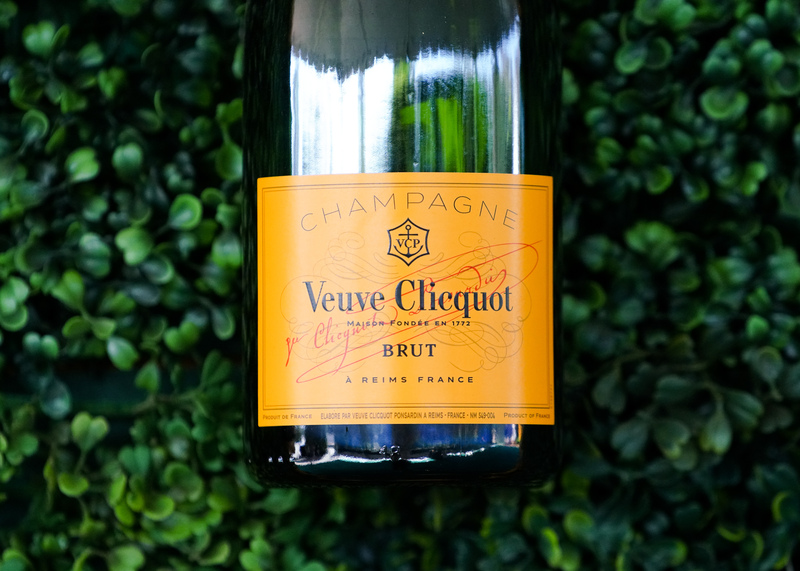 Packed with spice, those dining on a date, one person needs to order this, and let the other taste. Bonita Chica- made with vodka, pomegranate juice, orange liquor, and fresh lime juice. Those searching for a delicious drink with no tequila this is the way to go. 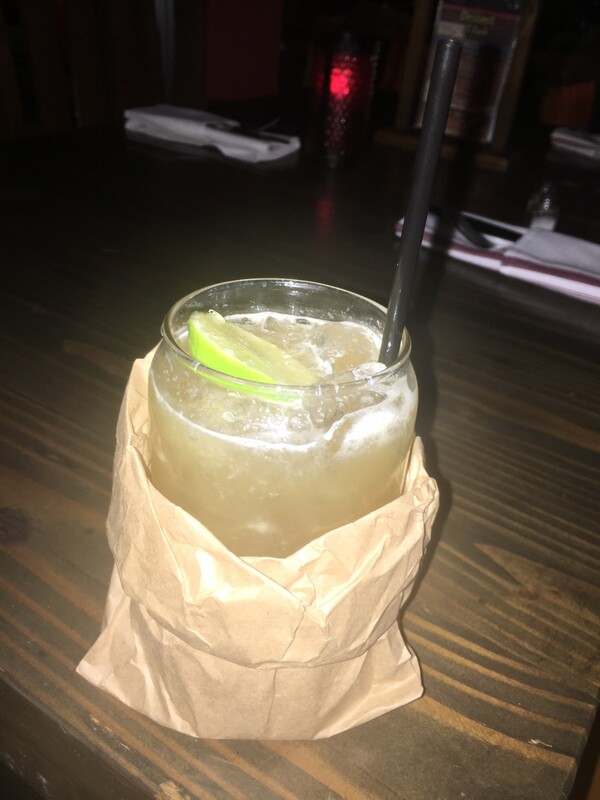 Boyz in the Hood-Made with gin, quina tonic, fresh lime juice, colt 45 simple syrup, club soda. This drink has a fun appearance! It comes in a baby bag giving you the hood feel while guzzling it down. Oh by the way it is tasty. Maestro- made with mescal espadin, fresh lemon juice, fresh ginger, fresno chile infused honey, chapulines-spiced salt rim. Too many of these and you will never leave Cocina Condesa with no regret. This is the winner drink. 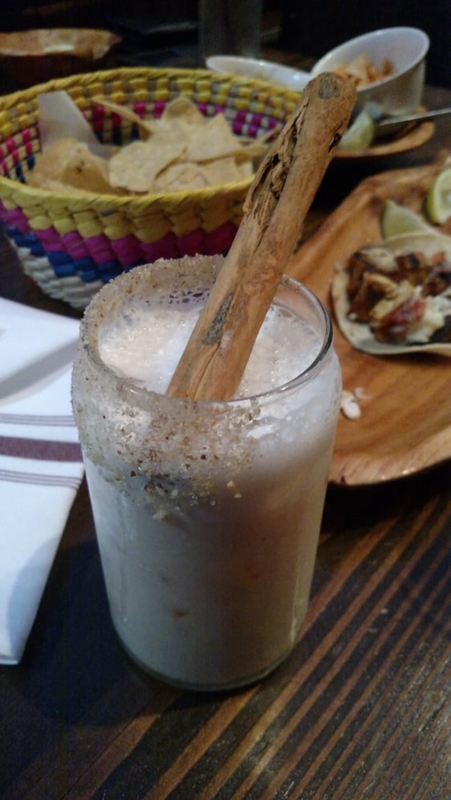 La Cucaracha- made with horchata, bacadri spiced rum, candied almond, a salted rim, and house cinnamon simple syrup. This drink is desert. It is delicious and unlike anything I have tasted in LA.